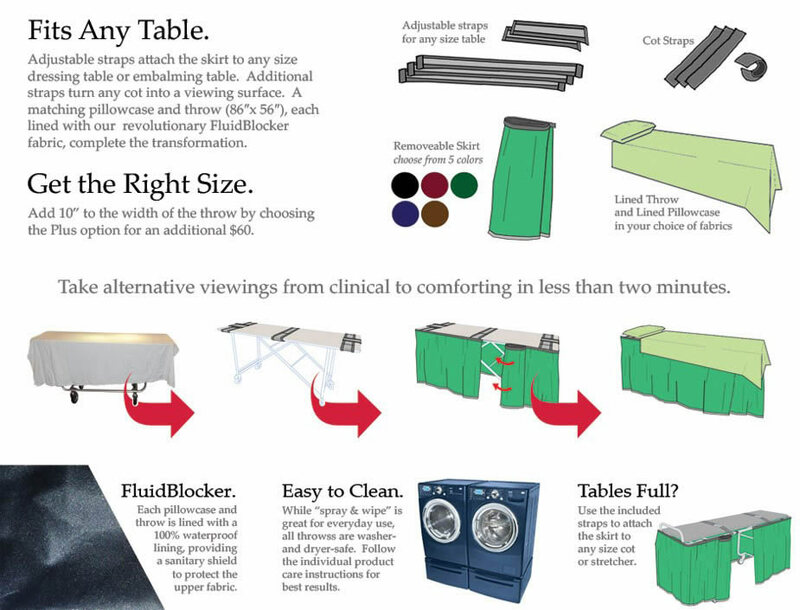 The AlternaView System (tm), exclusively by Final Embrace, includes a matching pillowcase and throw (86 inches x 56 inches), each lined with our revolutionary FluidBlocker (tm) fabric to prevent any staining or fluid transfer. In addition, the system includes a skirt in your choice of five colors: black, navy, cocoa, burgundy or forest green. The bottom of each skirt also features the FluidBlocker (tm) fabric, to prevent any fluid or dirt from being leached up from the floor and damaging the colored fabric. 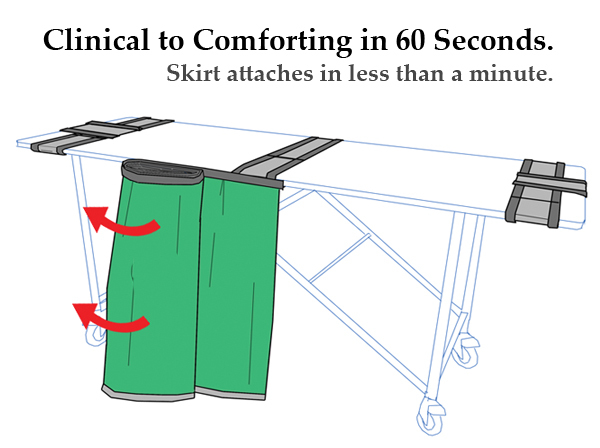 The system includes a set of straps to attach the skirt to any table, including embalming tables, dressing tables and even conference tables. 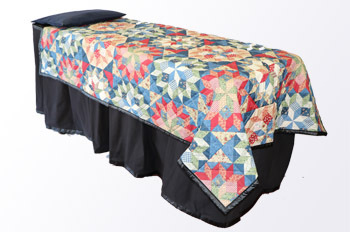 Lastly, a small strap set allows you to secure the skirt to your stretcher or cot. Need a larger throw? For an additional $70, we will expand the width from 56 inches to 66 inches. Regular orders are normally shipped within 48 to 72 hours by FedEx. Custom orders may require longer production time.